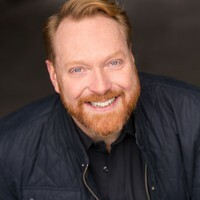 With his writing and acting work on the legendary, critically acclaimed sketch comedy series The State on MTV, Stella, Reno 911!, Flight of the Conchords, the beloved performance troupe Blue Man Group, and the popular comedic website JibJab, Kevin Allison has created all kinds of stories. In 2009, Kevin created RISK!, the live show and audio podcast "Where people tell true stories they never thought they'd dare to share." The podcast is now downloaded by nearly half a million listeners per month. Kevin is the founder and head instructor at The Story Studio, a school devoted solely to the teaching of great storytelling. "I've worked with bestselling authors, famous comedians, brilliant teachers, and business people from Chanel, IBM, The New York Stock Exchange, HBO, American Express, Sunglass Hut and more," says Kevin. "It's a thrill to see people improve dramatically in their communication skills - and in their careers and personal lives - when they're coached on the nitty-gritty of bringing the most remarkable and emotional moments of their pasts to life again for listeners. It's not magic, but it sure feels that way!"